Put them all together and the pictures tell the story of two weeks back in Lofoten. Imagine: leaving work and driving to the airport for an overnight stay, the next day and 3 flights later we land in Lofoten. It's raining hard, we shop for provisions and drive to our first house around 22.00. We unpack: shopping, bags and camera gear. 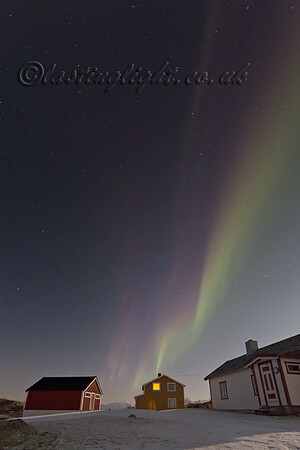 Then we open the front door and there it is: our first aurora of the trip. A late night precedes an early start for our first dawn sky. Two weeks later we leave with heavy hearts, having enjoyed several very decent aurora displays and taken all the weather thrown at us. For a few, brief nights a little moonlight magic transforms night to day.